The installation of campus-wide digital displays is vital for effective communications to our students. 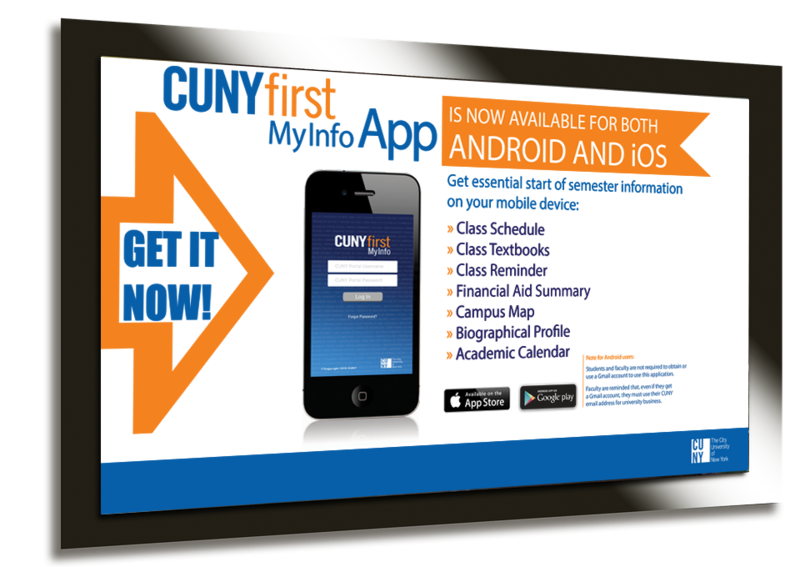 These displays will broadcast pertinent information on campus events, upcoming deadlines, weather, CUNY alerts, class schedules, cancelations and more. OIT has received the displays and cabling has been completed for 8 installations. The Office of Facilities needed to approve all the identified locations prior to installation. Training will be scheduled for contributors of content.